Twin baby boys birth celebrated with two teddies hand-painted onto glass tiles and mounted on satin ribbons and card mounts. 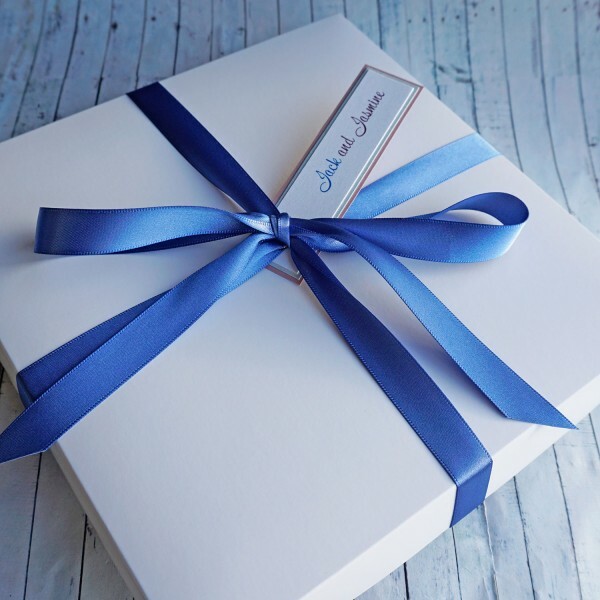 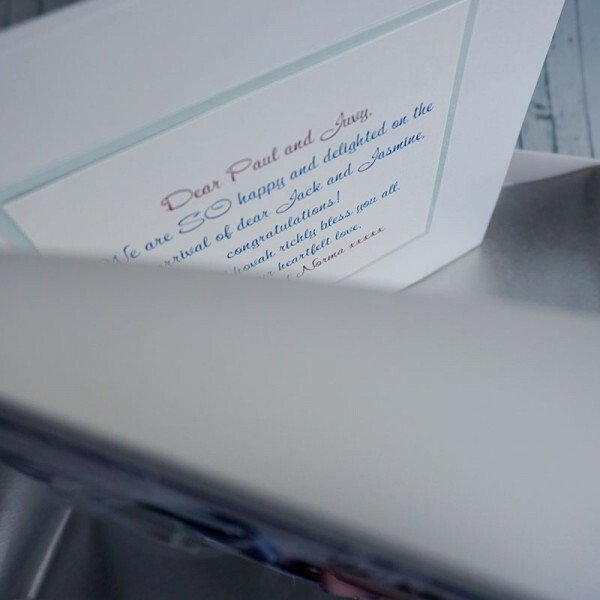 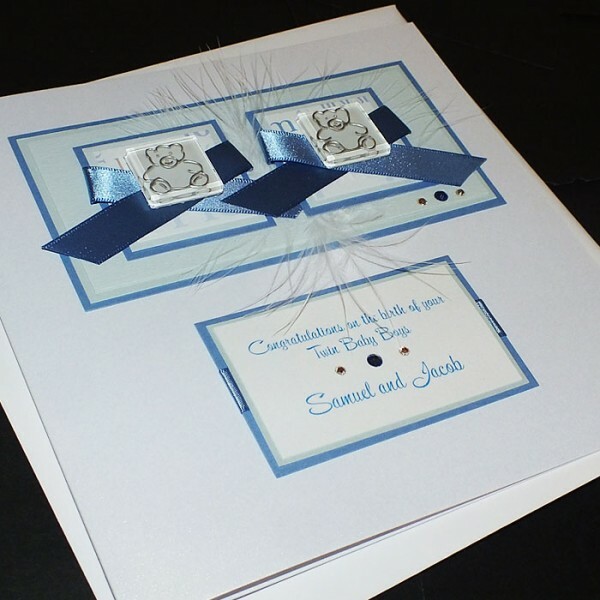 Created on lovely white pearlescent card and supplied with a matching blank insert. 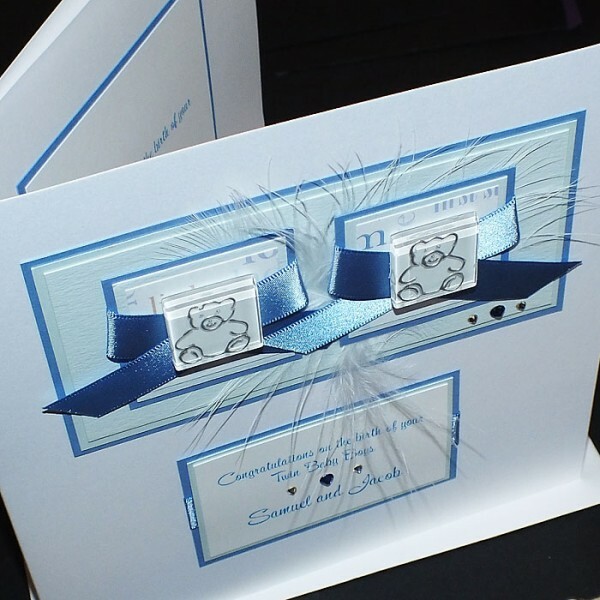 An optional printed mount can be added inside the card.